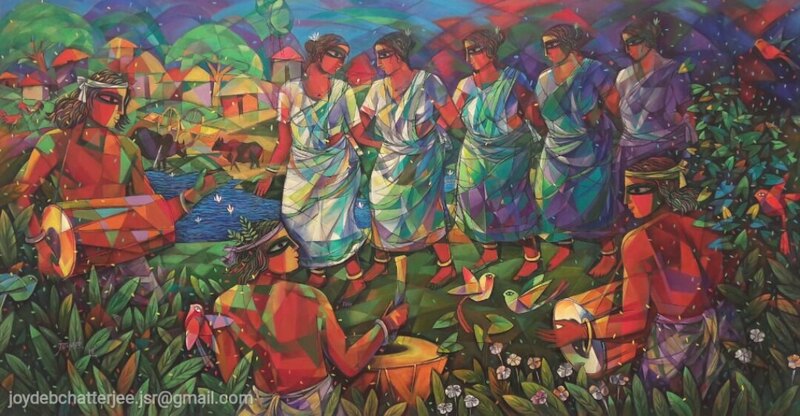 BUY ARTS ONLINE BY JOYDEB CHATTERJEE. HIS ARTS ONLINE ARE AVAILABLE ON ARTZYME.COM. JOYDEB CHATTERJEE HAS GRADUATED FROM GOVT. COLLEGE OF ARTS & CRAFTS, KOLKATA. HE IS MULTI-TALENTED AND PAINTS ON VARIOUS MEDIUMS FOR HIS LANDSCAPES, FIGURATIVE, ABSTRACT AND CONTEMPORARY ARTWORKS. HE HAS ALSO WORKED AS ASST. ART DIRECTOR IN POPULAR T.V. SERIALS VIZ. AAHAT, CID, SATURDAY SUSPENSE ETC. HE HAS PARTICIPATED IN VARIOUS GROUP EXHIBITIONS AND ALSO HAS HIS OWN SOLO EXHIBITIONS INCLUDING AT JEHANGIR ART GALLERY. HE HAS RECIEVED MANY AWARDS AND CERTIFICATES FROM VARIOUS ORGANIZATIONS. HIS IMAGINATION AND STROKES ARE SO DEEP AND NEAR PERFECTION. MUST HAVE WORKS IN YOUR HOME OR OFFICE BY JOYDEB. BUY 100% ORIGINAL & AUTHENTICATED ARTS ONLINE ON ARTZYME.COM, INDIA'S FAST GROWING ORIGINAL ARTS MARKETPLACE. LET'S CONNECT 'heart to heart thru Arts'.